Don't miss the latest happenings out of Bolton Valley, including new lifts, terrain expansions, weather, photo galleries, infographics and current events skiers and mountain travelers should know about. Stay up-to-date on Bolton Valley news and events by clicking on articles from the list below or page through to see coverage from the entire ski season. Consistent storm track to sweep west to east this week. Women's clinics, children's festivals and college days are just a few ways to enjoy 2014 in New England. The snow has already started to fall in the Northeast from a storm that could be a potentially historic one for many areas. A healthy storm brought winter back to the Northeast for weekend warriors. The Bolton Valley backcountry is some of the most-easily accessible terrain in the Northeast. Head into the backcountry yet experience all of the comforts of resort skiing at the end of the day. Northeast skiers and riders are enjoying powder in the final days of 2011. 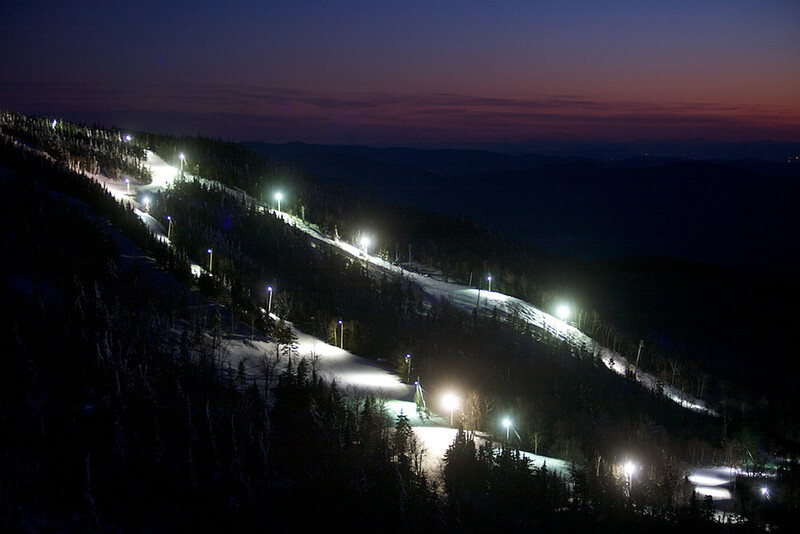 Stowe opens today. More resorts opening for holiday skiers and riders. Deadlines are approaching for students looking to ski and ride different mountains on one pass.